Malaysia’s Government has long been embracing the age of digitisation. With their Eleventh Malaysia Plan, they intend to get government agencies on the right track to integrating fundamental ICT solutions and frontier technology, by the year 2020. 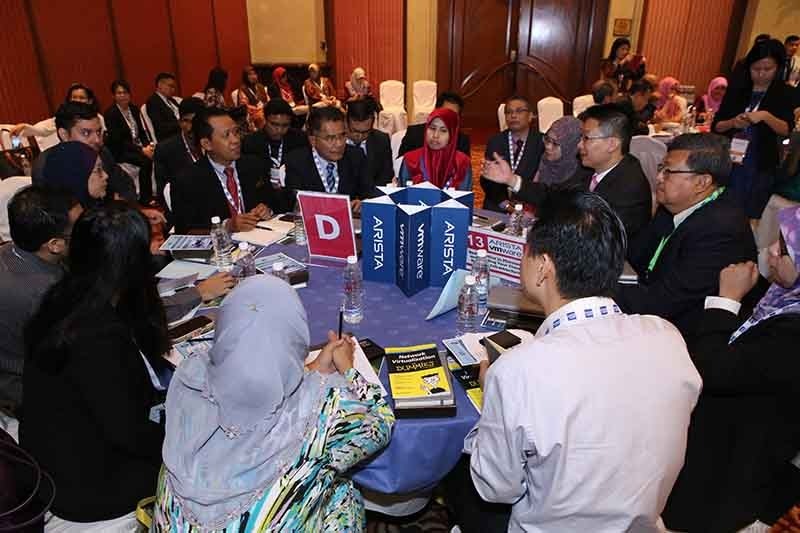 On 22nd March, 2016, over 200 public sector representatives from the Malaysia Government came together to talk about how they would approach and embrace the oncoming era of digital transformation. Mohit Sagar, Managing Director and Editor in Chief, OpenGov, opened the forum, presenting digitisation of government digital services as the way forward for Malaysia Government. He also discussed several steps to be taken by an organisation working towards this. As MAMPU has encouraged agencies to make their services more mobile and accessible, this has prompted many to make a bevy of their services made available online. Over 80 percent of government services have been made available online. Now, the next challenge for MAMPU is to consolidate these services to fewer platforms in order to make it easier for citizens to access these services. Dr. Suhazimah, Deputy Director General ICT, MAMPU, took to the stage for the morning keynote and laid out MAMPUs vision for the next 5 years of ICT development. In her role, she assists in developing and producing the strategic vision for ICT within the Malaysian Government. Recognising that there are many challenges to embracing digital transformation, Dr. Suhazimah opened the forum by encouraging delegates to adapt to technology and change. The onus of the forum is to bring delegates together to share ideas and stories relating to digital government. With this, Dr. Suhazimah recognised the importance of defining what this term should mean. “Digital Government, what does it mean? I think that it is a fusion between business and IT, realizing what tools IT enables which serve the business goals and streamlining of services,” said Dr. Suhazimah. Following Dr. Suhazimah’s keynote address, the forum moved right into open dialogue sessions where delegates would get the chance to listen, learn, and collaborate with one another, on topics which directly concerned them. The open dialogue tables covered several topics at the forum, including: The Real Value of Data-drive Practices for Government; Transforming IoT data into structured information; Digital Services, new opportunities for Government and Citizen Services; Technologies to Thwart Insider Threats; Best Practice in Planning and Building Your Cloud Network Infrastructure; and other such related areas of discussion. After the opening addresses by Mr. Sagar and Dr. Suhazimah, the direction of the forum was geared towards how government agencies will embrace and adapt to changes brought on by increased digitisation. As the poll results showed, just more than half of the delegates (59.7 percent) have a defined IT and Information Management strategy in their department. Amongst our delegates, enabling legislation and upskilling internal resources were two of the most popular strategies to overcome challenges to ICT integration. This shows that although many delegates have established a clear cut IT strategy within their department, their next steps to further embracing digitisation require them to address the skills gap and some of the outdated legislation which does not apply to technological changes. Tan Sri Mohamad Zabidi Zainal, Director General, Public Services Malaysia, graced the forum as guest of honor and shared what he believes public servants must realise and address before they launch themselves into this new era of digital transformation. It has become evident that many agencies throughout Malaysia have developed and adopted sustainable practices to responding to revolutionary changes in technology. To this, Tan Sri Mohamad Zabidi Zainal pointed out that there is a convergence of technology forces which must be accounted for. “The nexus of converging forces seems to be more appropriate in designing the required technological and digital architecture for transformation. This approach includes the convergence of social networking, mobile, cloud computing, and information,” Tan Sri Mohamad Zabidi Zainal explained. After Tan Sri Mohamad Zabidi Zainal gave his remarks, he was presented with an award recognising him as a leader in digital transformation within the Malaysian Government. The area of cloud computing is one that is seemingly more important to address as governments become more digital and receptive to technology. However, the idea of storing important and sensitive data in a nonphysical space is just one of the obstacles for government agencies to overcome before adopting such solutions. The Government Cloud Debate during the forum addressed these issues, answering the question: Is the government cloud working and is it here to stay? The panelists included: Vicknaeswaran Sundararaju, Head of Group Information Security, Petronas, Malaysia; Iwan Djuniardi. Director of ICT Transformation, Directorate General of Taxes, Indonesia; Brad Wynter, Organisation Improvement Manager and Smart City Innovator, City of Whittlesea; and Grantly Mailes, Former Deputy Secretary, Innovation and Technology Chief, Chief Technology Advocate, and Chariman for CenITex. One of the most common arguments against cloud computing solutions concerns the issue of data protection and security in the cloud. This was brought up by Mr. Mailes during the debate. “The reality is that there are implications to data sovereignty and people are worried about where their data parks,” said Mr. Mailes. On the other hand, supporters of cloud solutions commonly believe that the Government Cloud will enhance the ability to adapt to change. Mr. Wynter reflected on this view, explaining how it might benefit government organisations. As the poll results showed, 31 percent of our delegates have already executed cloud computing solutions while another 31 percent of our audience were planning to do so within the next 12 months. However, when we asked where their organisation stores data, 59 percent of the delegates shared that they store most of their data in internal infrastructure. From the discussions held and the government cloud debate, it can be concluded that many agencies are still looming over the idea of adopting cloud computing solutions. Some believe that soon enough, this will no longer be a debate and organisations will be subject to the direction being undertaken by the rest of the world, making physical data infrastructure obsolete. Data analytics is an area that government agencies are trying to tap into for more valuable insights and decision making tools. The poll results showed that Analytics and Big Data were two of the most common challenge areas for our delegates. For 62 percent of our respondents, these are the two areas which they will be most focused on this year. As we shared recently, MAMPU is hosting a Government Data Ocean where agencies can share their data sets and help government make more intelligent and calculated decisions. As of yet, there are thousands of data sets that have been captured but still a lot more work to be done. MIMOS has been a critical partner in developing data analytics solutions for government agencies, in the ever-increasing information age. They act as a Research and Development Centre for technology solutions, catered to government agencies and enabling them to translate big data into value. Datuk Abdul Wahab Abdullah, CEO and President, MIMOS, presented his case on how to overcome challenges and tap into the potential of big data for new value creation. “Today, when we look at technology, we are moving towards big data platforms. You must know how to use big data to make your agency more productive,” said Datuk Abdul Wahab Abdullah. These challenges resonated with the audience as many of them are looking at executing data solutions in the near future. As we found, 33 percent of the delegates are looking to implement a data analytics solution in the next 12 months, while 28 percent requested for more information on the solutions provided. All in all, big data and data analytics are two areas where Malaysian Government agencies have found a lot of value and opportunities to improve service delivery. Many agencies are acting on this and understand that the power of data and analytics will bring them to the future of Digital Malaysia.